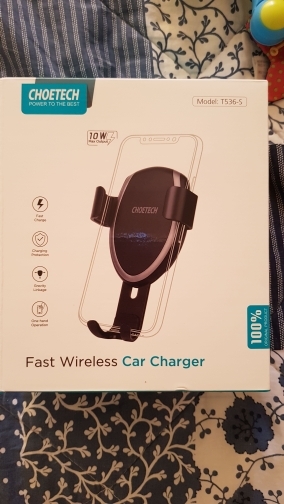 7.5 W & 10 W Outpost: wireless charging is available for both Apple and Samsung. 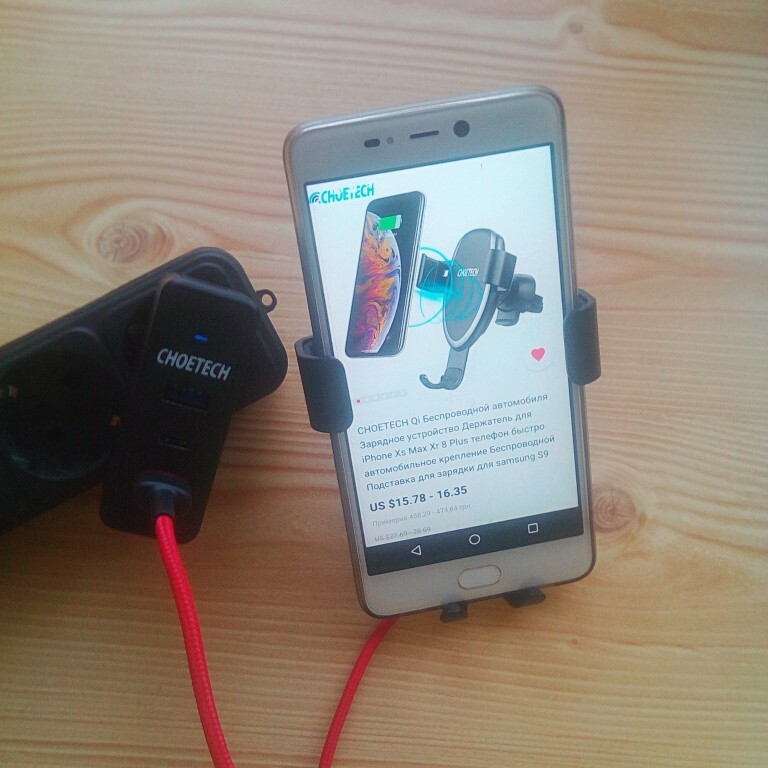 Max 7.5 W output works for iPhone XR/ XS/ XS Max/ X/ 8/ 8 Plus. Max 10W output for Samsung Galaxy S10, S10 Plus, S10 E, S9, S9+, S8, S8+, Note 8, S7,S7 Edge, Note 5, S6 Edge+. 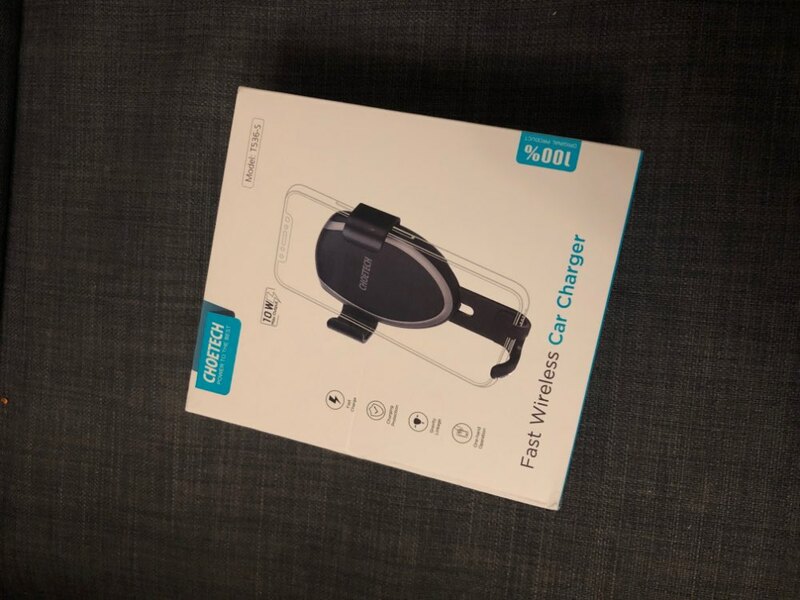 ♥QC 2.0/3.0 car charger is required as input power. 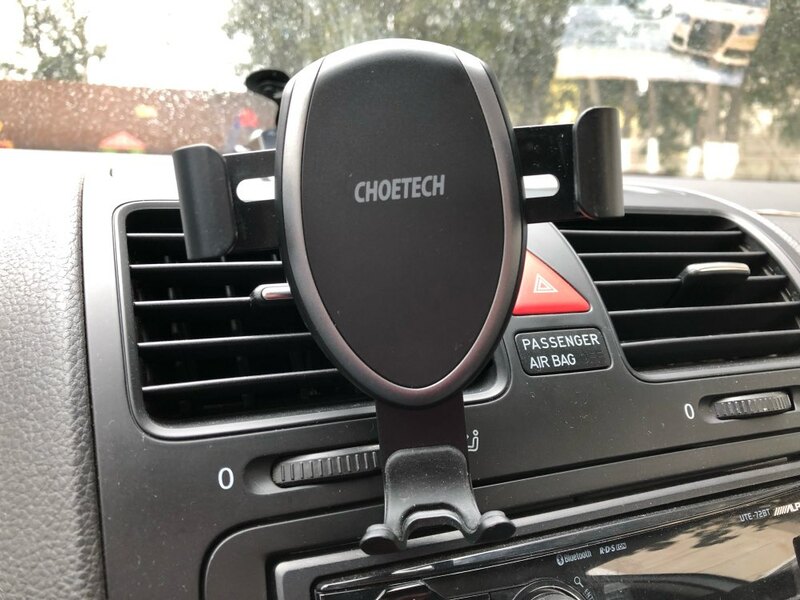 Universal Car Phone Holder: This wireless stand charger can be used as well as a universal car mount holder with adjustable width 3.4-4.8in (88-122mm). It can compatible your phone’s width up to 4.8 inch. 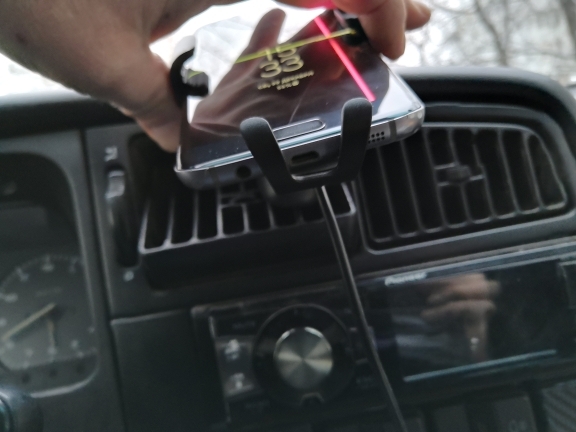 Wireless Charging while Using GPS: Don’t have to keep hooking up the USB cable to charge to charger your device! 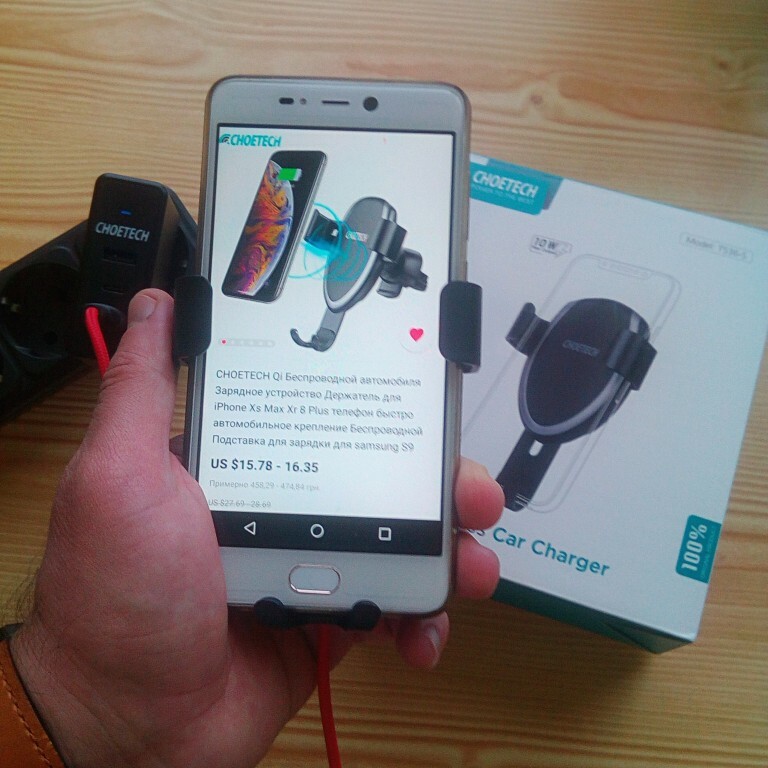 Say goodbye to low battery while using your phone with GPS, playing the music or watching videos. 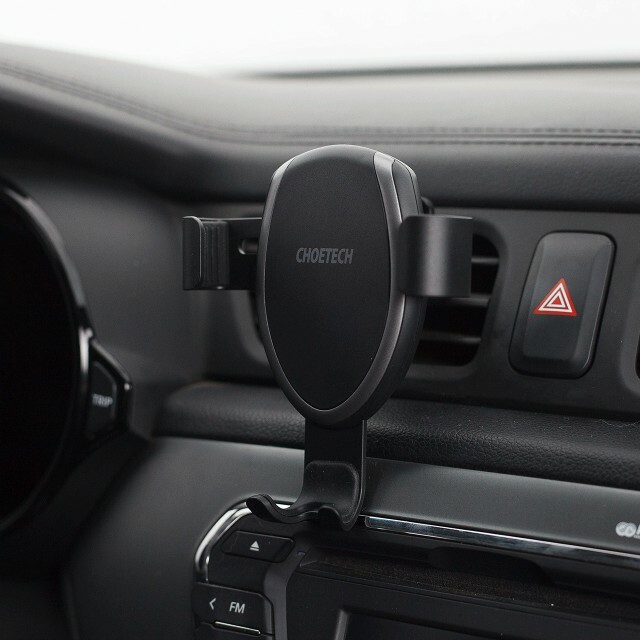 Adjustable Viewing: Support both portrait mode and landscape mode. 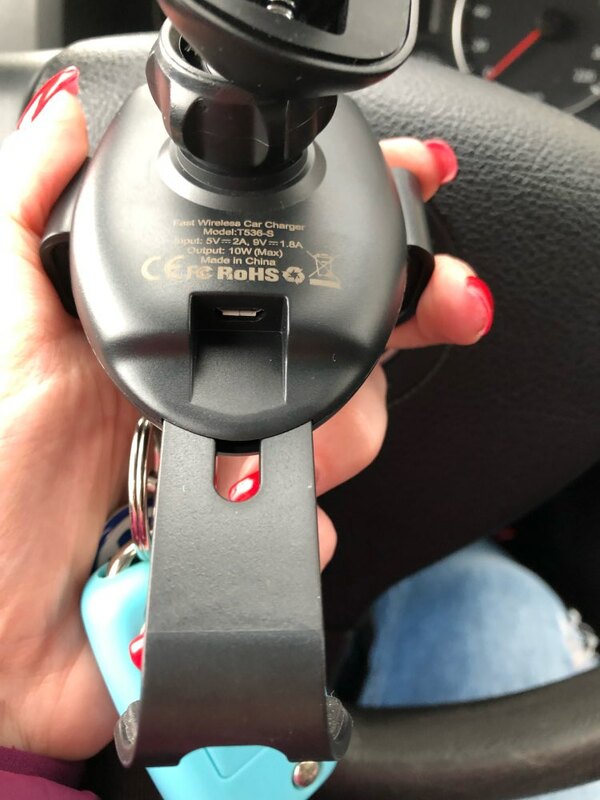 Perfect choice for those drive a lot and need to be able to see maps. 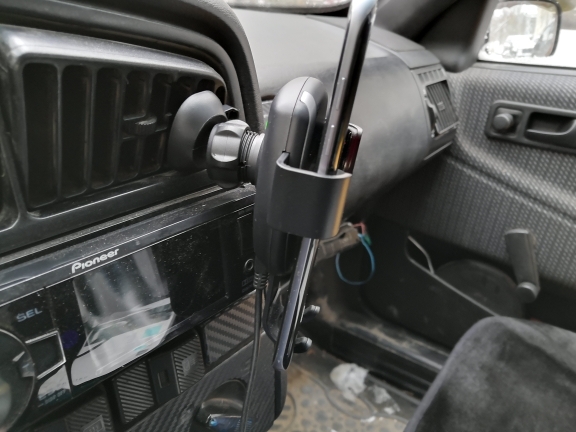 360°Ball joint pivot adds a variety of optimal positions, easily turn your phone facing the driver for a better viewing. 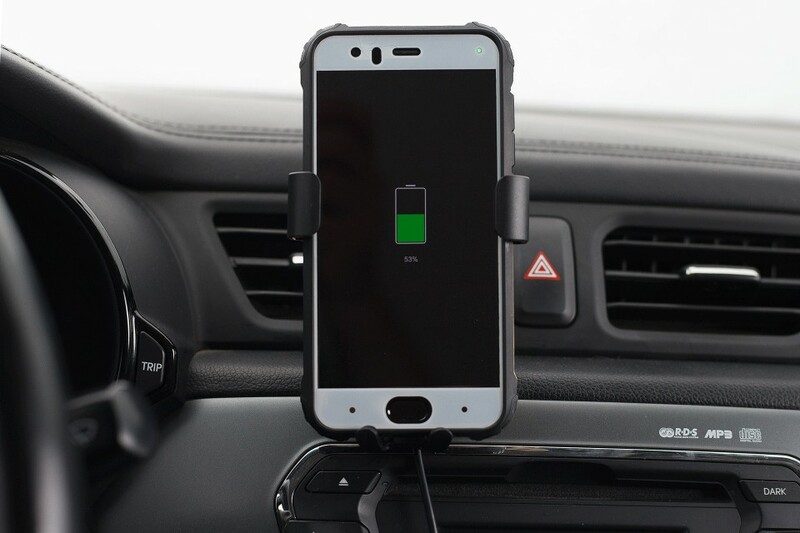 One-hand Operation: This car wireless charger with latest USB C port is easy to get your phone in and out of. 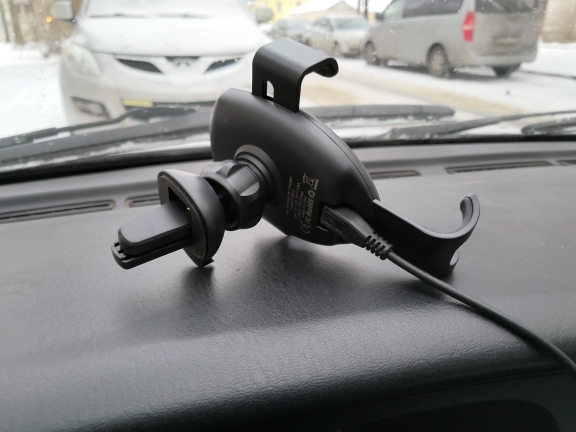 You can operate it by one hand to charge your phone. 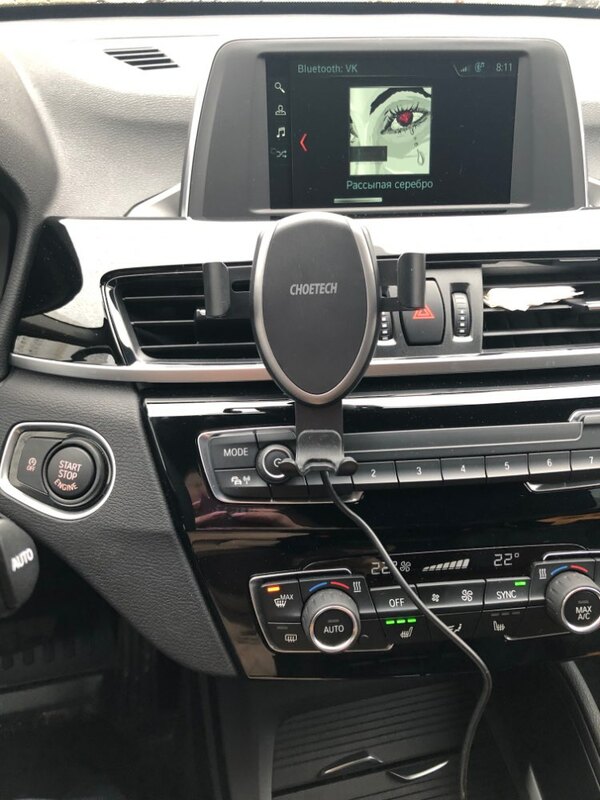 This qi car charger holds your phone really steady even you drive quite fast to pass the speed bump. 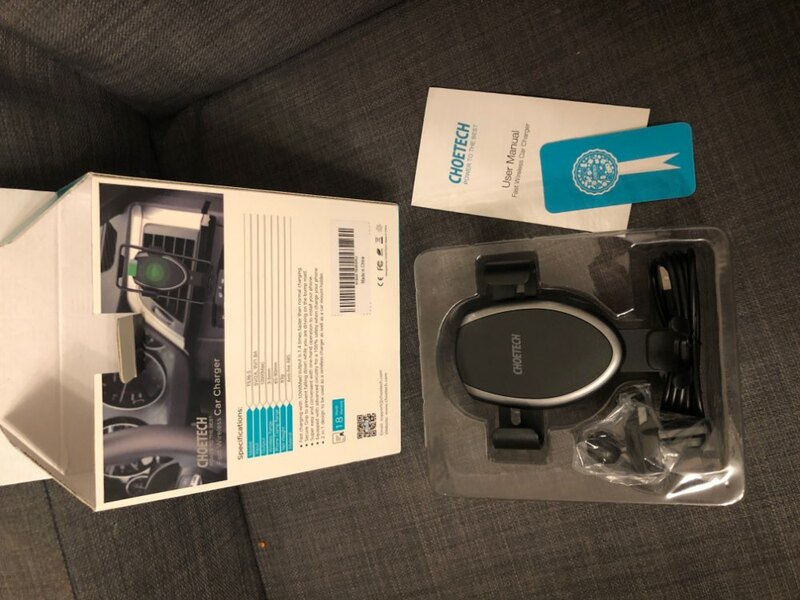 The goods arrived very quickly, within a few days, chose delivery from the russian federation, delivered home, the box is whole, you can safely on a gift. 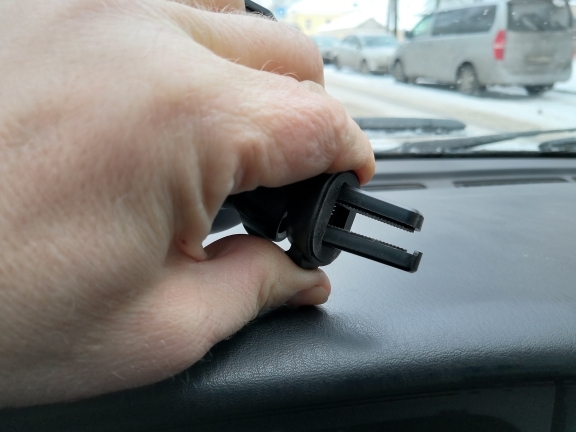 the phone holds firmly, charges slowly. 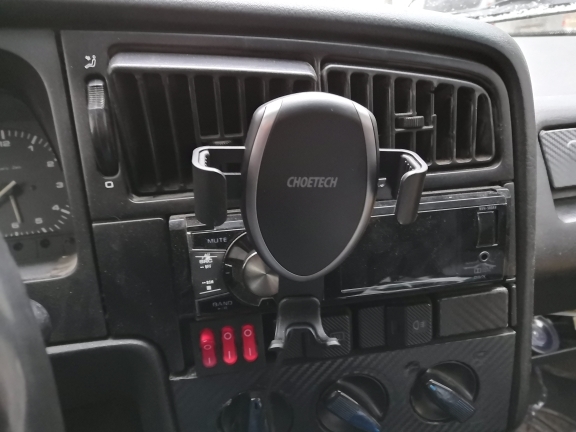 Not yet checked but the side mounts seem to be weakly hold the phone and it can hang out when shaking the car. Lightning delivery!!! I was shocked by Pick Hut :) the order was issued on sunday, received on thursday (and the courier was ready to bring back on wednesday). 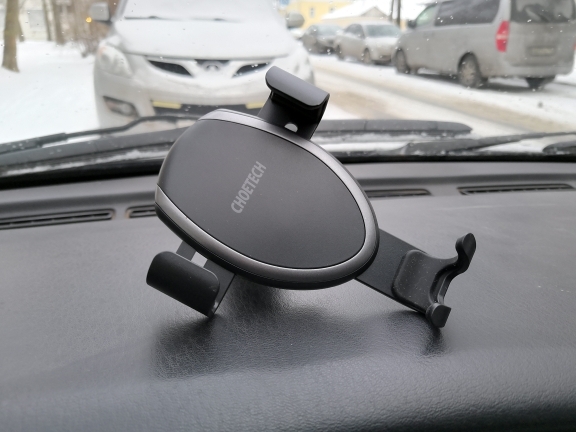 Great holder! 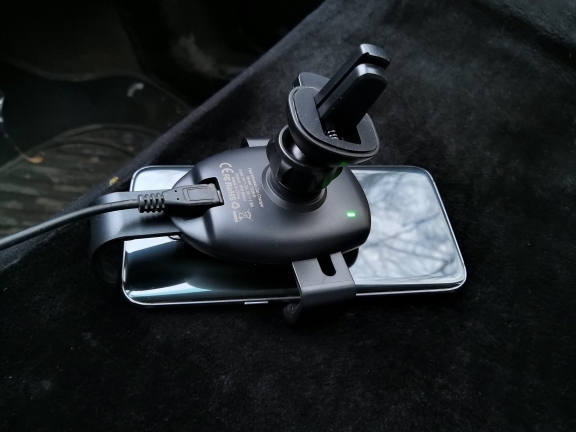 Works, charges :) in the car has not yet tried. A review. Thank you store! Shipping 12 days. 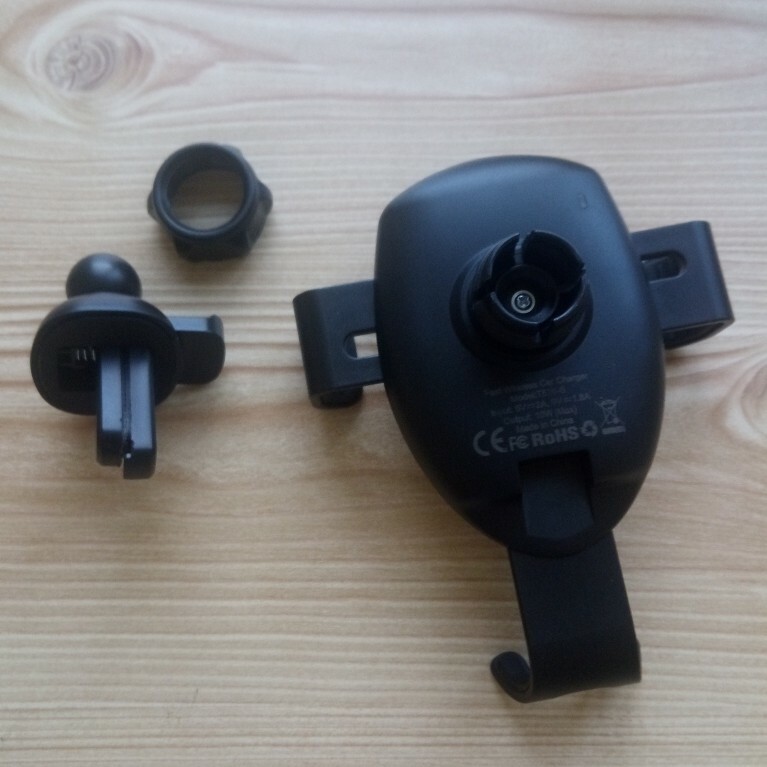 The holder is not bad, attached easily, put and take the phone is a pleasure, as the holder automatically captures and releases the phone. 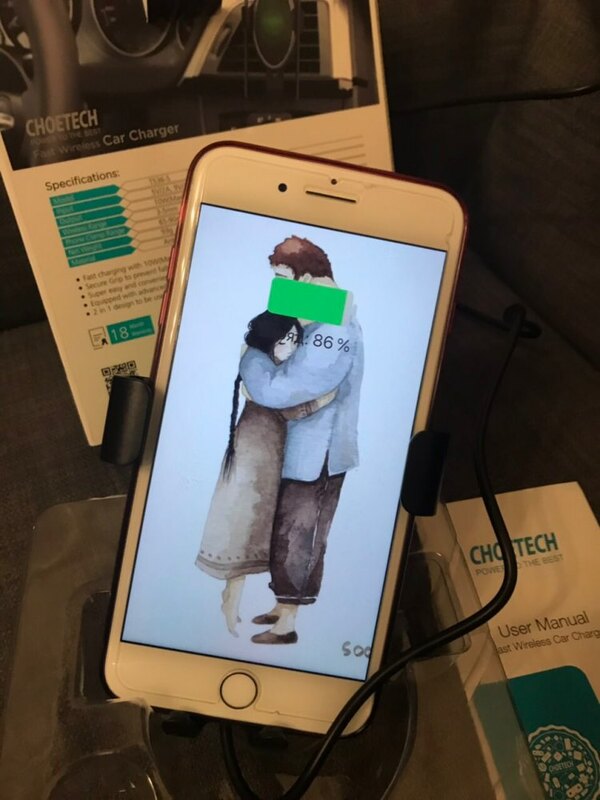 Iphone 8 in a thin case charges. 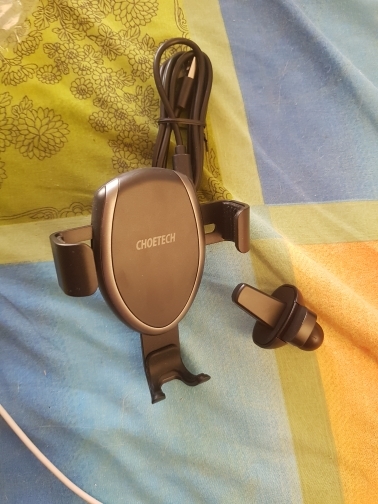 Included was a charging cable. Very happy thank you. 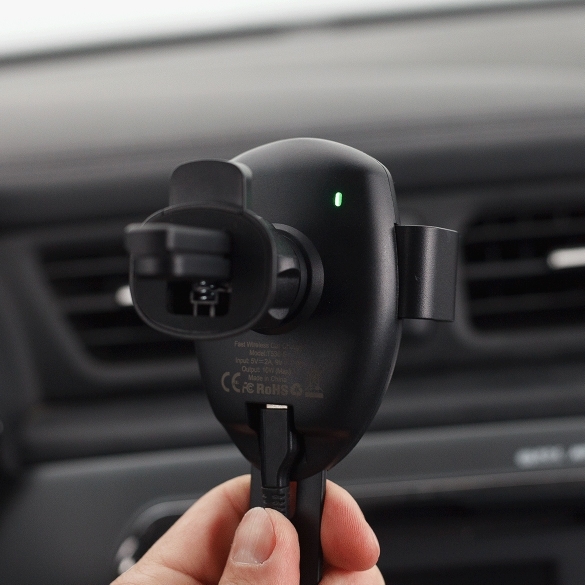 Advantages of charger: No binding to wires-it can be removed from the holder at any time; Easy installation-thanks to the self-tightening clamp, the memory can be fixed anywhere in the ventilation and heating system of the car; Swivel mount with shock and vibration damping system in the car; Convenience of installing the gadget for charging; Fast charging technology; Built-in protection against physical and electrical overloads. 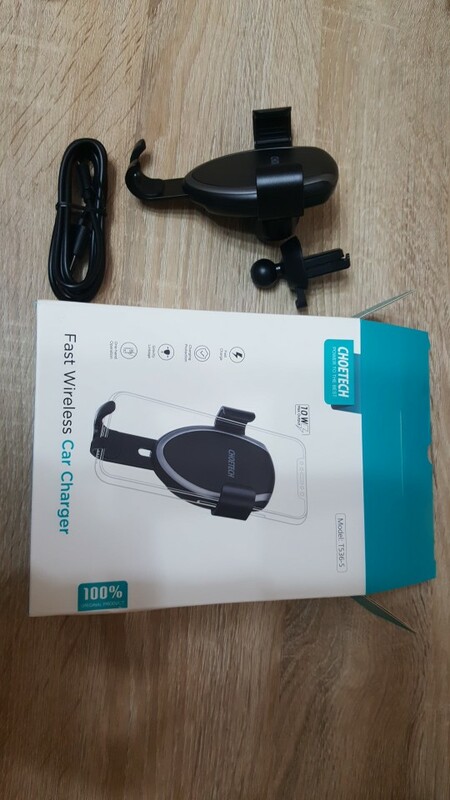 The following parts are included in the package: Wireless charger; Swivel mount with swivel mechanism; Usb/micro-usb charging cable; User manual; Branded box. 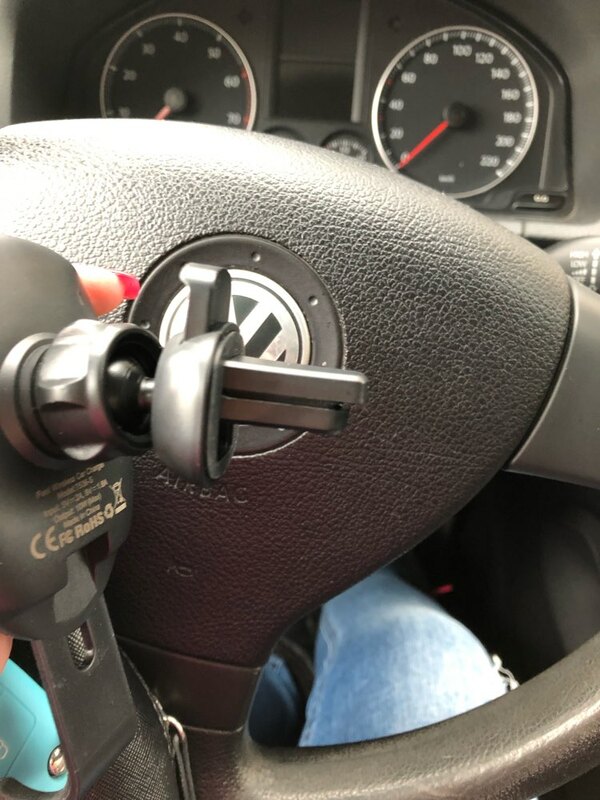 My best buy in car! Delivery took 8 days. Packing corresponds to the declared. 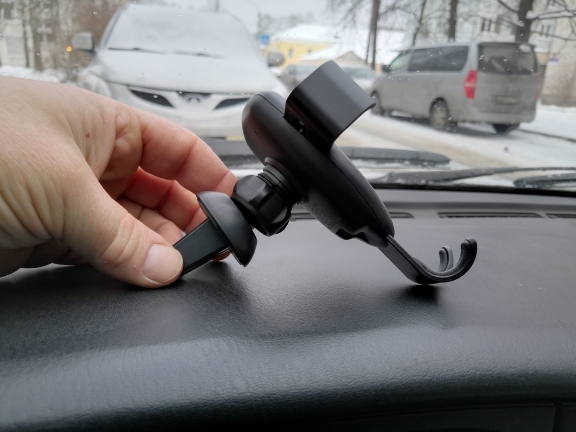 The holder has a swivel mount. Simple and understandable. 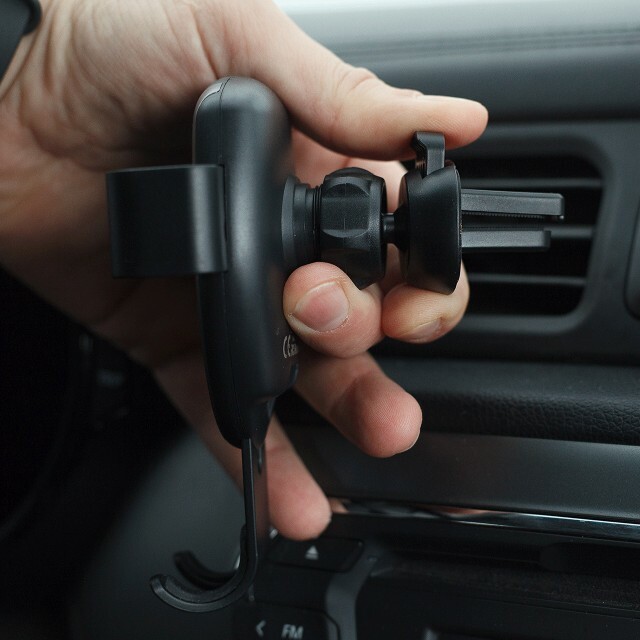 The holder is very easy and securely fixed on the blinds grille ventilation of the car interior. And also easily removed by pressing a special button. 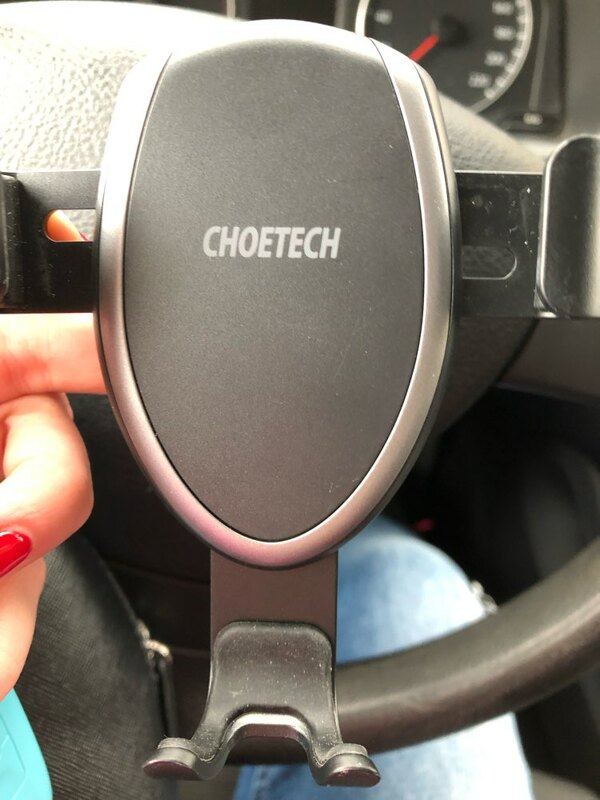 The phone is attached with one hand. Big plus is wireless fast charging. No wires to the phone itself, which is very pleasing. I'm happy, my husband is happy, i recommend. 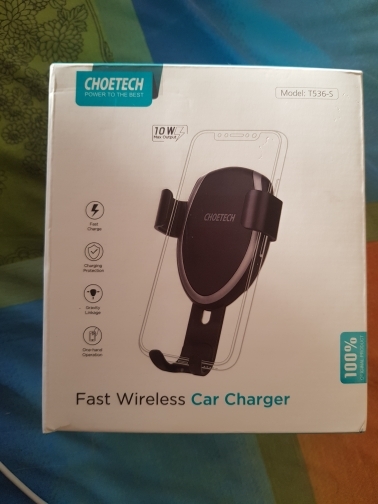 The charging is fast and it loads even with the cover without any problems. The enclosed cable is 120cm long. 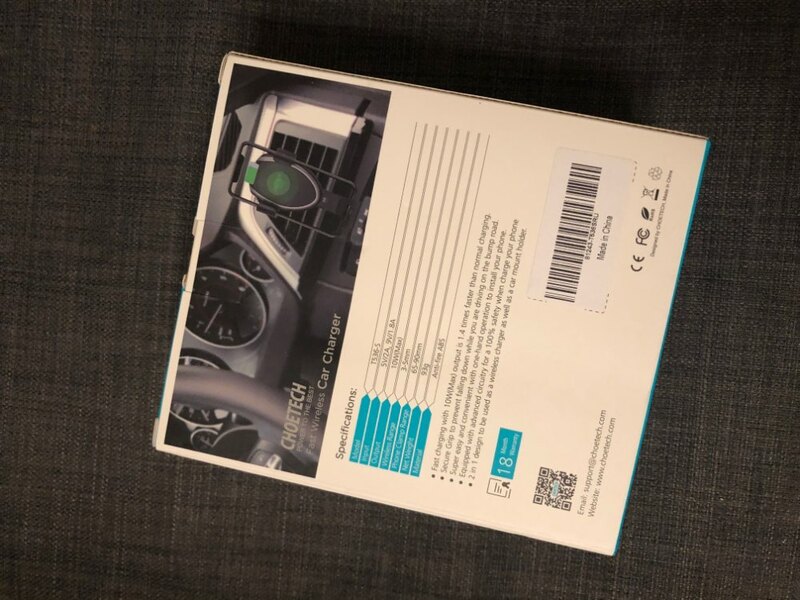 Processing is good and I recommend this product as a gift because it is packed in a nice box. 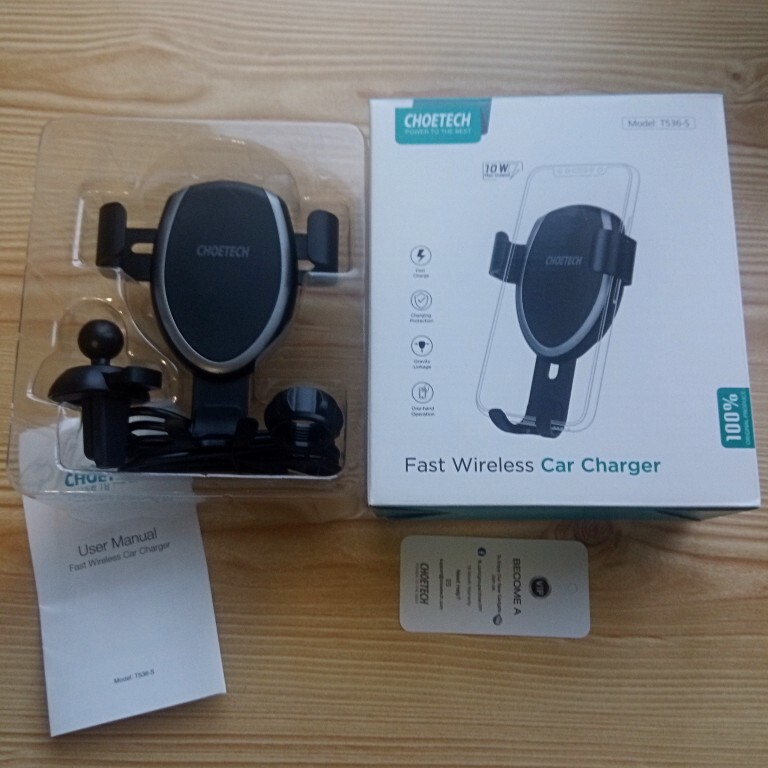 Delivery from order 20 days.